Hello! I'm a Uni Student in my 20s studying IT. 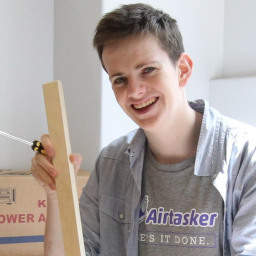 Airtasker has been great to me - I've been using the site since February 2012 and have been featured in the Sydney Morning Herald in regards to Airtasker. I have a keen interest in Social Media and Telecommunications. I'm a very friendly and approachable, outgoing guy and love to lend a hand. Please do check my reviews - I've done over 60 tasks and received more than 40 five-star reviews for my work. Also, happy to invoice you for any costs associated with the tasks as I have an ABN for Airtasker work. I'm always willing to try something new or just stick with what I know - I'm very easy-going and always reliable. Cheers, Will C.
New layout for existing website. Bernadette C. said “Will was absolutely great to work with. He completed my PayPal link and also made some great suggestions. His communication skills are the best. Brendan O. said “Will did a great job with this project. Extremely fast & to the letter. Buy a couple of $5 amazon gift cards for me. Rebecca H. said “Will was awesome and extremely generous. The task I posted was pretty simple, buy a few gift cards online, but nonetheless I wanted to give someone a few dollars for their time. But then Will offered to do it for essentially nothing since it was such an easy task. He replied quickly, and it was all taken care of in less than a day. Kevin P. said “Will is a nice and friendly guy. He is very courteous and fun. He has done the job to the highest standard. I will recommend him for any task you have.